Dragon Ball became a hit in America in the 90s, reaching the pinnacle of anime success alongside Pokemon. Both animes were able to hold onto their aging audiences; you can easily find 30 to 40-year-old fans of each series casually catching up with the latest story. 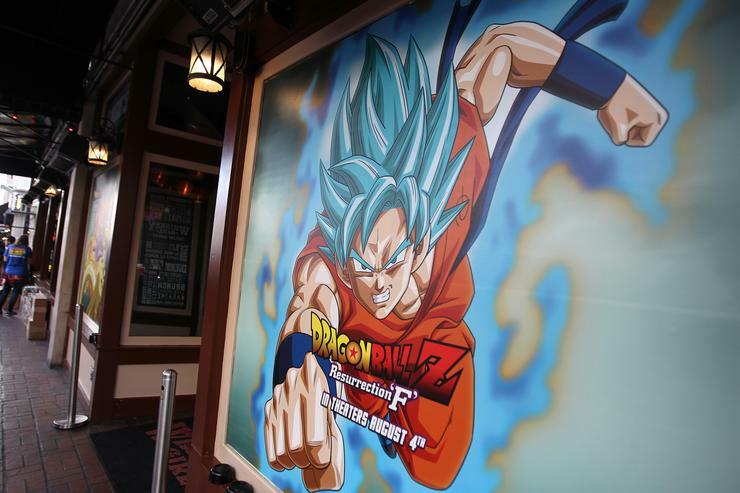 In the last two years, Dragon Ball Super revitalized the popularity of the anime, and thrust Goku and the Z-Fighters back into the spotlight. Goku and Vegeta, two of the show's main protagonists, are recognizable to groups who have never even seen the show. Still, there's a vital supporting cast that doesn't get the same mainstream spotlight. For example, if you ask someone who isn't into anime if they've heard of Goku, there's a good chance his name has popped up in their life at one point or another. Ask the same person about Trunks or Shenron, and they might be lost. We've compiled a quick list of essential Dragon Ball characters. There are Z-Fighters such as Tien and Yamcha that can be counted among the supporting cast, but for the sake of succinctly explaining the characters to newcomers, they are irrelevant. We only kept in mind those with important narratives that help push the overall story, and the villains that made the biggest iconic splash. For those who are less familiar with the popular anime, here is a beginners guide to the characters of Dragon Ball. The main hero in the Dragon Ball series. Goku started off a just a young boy who was supposedly the lone survivor of an alien race called the Saiyans. In the original Dragon Ball series, Goku battled the evil King Piccolo and was taught the ways of martial arts by Master Roshi. When Dragon Ball Z premiered, Goku’s history was expanded. His family history was explored and Goku became the deadliest fighter in the entire galaxy. He reached the coveted Super Saiyan form before his peers, was instrumental in the destruction of almost every villain, and fathered Gohan and Goten, two of the most powerful Z-Fighters. Although he dies fairly often, Goku is hands down the most important character in the series. Goku’s biggest rival started out as an enemy. When Dragon Ball Z started, Vegeta was introduced as a Saiyan Prince that arrived on Earth after Raditz’s death in order to find the Dragon Balls. He was the son of King Vegeta, who was the leader of the Saiyan race. Frieza eliminated Planet Vegeta and King Vegeta, leaving young Vegeta scarred for life. His original search for the Dragon Balls led him into conflict with Goku. Vegeta wanted to attain the mystical wish-granting entities to become immortal and kill Frieza once and for all. After battling with Goku, the two teamed up to take down Frieza together. Since then, Vegeta has been a main member of the Z-fighters and is the father of Trunks. Trunks is the son of Vegeta and Bulma. He first appeared as a savior from the future that kills Frieza. Future Trunks stays around to help the Z Fighters clean up the Androids and Cell before returning to his own timeline. Then, time corrects itself and baby Trunk is born. From a young age, Trunks is ready for battle. By the time Majin Bu shows up, Trunks is ready to fuse with Goten (Goku’s youngest son) and becomes a major force in the battle against the pink monster. Future Trunks’ weapon of choice is his sword, but he can throw hands just a good as his father. The son of Goku has proved time and time again that he’s just as formidable as his father. Gohan made his first appearance at the beginning of the Raditz Saga. Goku was training young Gohan until he sacrificed his life while fighting Raditz. Piccolo killed Goku in a plan that also took out the villain, so the Namekian was obligated to finish training Gohan. Piccolo raised the young Saiyan until his father returned, and steadily leveled up along with the rest of the Saiyans. Gohan’s defining moment was when he defeated Cell, making him one of the only Z Fighters to destroy a supervillain other than his father. Piccolo Jr., more commonly called just Piccolo, can be considered Goku’s left-hand man. He helped raise Gohan and is the cool, calculated, meticulous fighter in the crew. His father was one of Goku’s biggest enemies in the Dragon Ball series, but Piccolo decided to join the forces of good. Although the Saiyans continue to level up around him, Piccolo holds his own and fights alongside the team using his smarts as well as his Namekian skill. If Piccolo is Goku’s left-hand man, Krillin is on his right side. Krillin is constantly used as troll bait by anime fans, due to his penchant for being useless in battle. Krillin is one of the least powerful Z Fighters, and he hasn’t been useful since the beginning of Dragon Ball Z. Krillin did win over the heart of Android 18 after aiding her in an attempted escape from Cell. Once all the life that Cell destroyed is brought back into existence, Krillin settles down with the Android and lives the family man life. As he should. Frieza is one of the main antagonists in Dragon Ball Z. Depending on who you talk to, he is considered the best villain in the series. Frieza and his legion of minions first enslaved and then destroyed Planet Vegeta, the home of the Saiyans. Frieza is killed by Goku after he achieves the Super Saiyan form, but he is resurrected not long after. He returns much stronger to challenge the Z Fighters again, but Future Trunks slices him down before he can destroy Earth. Even after his second death, Frieza has been featured in Dragon Ball Super content in his afterlife form. He was monumental in saving the galaxy at the conclusion of Super, and he will be featured in the upcoming Dragon Ball Super: Broly movie. There were several Androids throughout the Dragon Ball series but 16,17,18,19, and 20 were the most important to the overall plot. Dr. Gero creates the Androids and programs them to carry out a personal grudge against Goku that stems back to his childhood. Android 19 was the most troublesome for the Z Fighters, while Androids 16,17, and 18 ended up abandoning their evil ways. A clone of Dr. Gero, Android 20, helped orchestrate the robots’ plan to kill Goku and his allies but Vegeta, Trunks, and Gohan protect the planet from the menaces. In Future Trunk’s timeline, the Androids succeed in killing off the Z Fighters, and wreak havoc on the Earth until the purple-haired hero finally kills them decades later. Dr. Gero’s (Android 20) perfect creation was a plight upon the planet. Cell touches down and feeds off life until he levels up to his perfect form. After devouring all the Androids, Cell sets up his own competition and challenges fighters to defeat him for the sake of the Earth’s survival. Cell defeats the Z Fighters easily before facing Gohan who levels up to Super Saiyan 2 and takes down the green foe. The Cell saga is widely regarded as the peak of Dragon Ball Z, with the following Majin Buu saga feeling like a knock off version of Cell’s story. Majin Buu’s terror marked the end of Dragon Ball Z. The pink villain was created before life existed on Earth by a sorcerer called Bibbidi. Once Buu became so powerful that he slaughtered millions across the galaxy, Bibbidi locked him up on Earth. While Buu was locked up, Bibbidi was killed, trapping Buu for centuries before he was awakened by Bibbidi’s son Babidi. Once reawoken, Buu followed a similar path as Cell and slowly levels up before reaching his final form. The final form of Buu, Kid Buu, is finally destroyed by Goku after a lengthy battle that progresses through Fat Buu, Evil Buu, Super Buu, and more after absorbing several Z-Fighters. Shenron is the mystical dragon that appears when the seven Dragon Balls are assembled. He doesn’t appear often, but he is crucial to the entire series. The whole show is named after the entities that bring Shenron to life, and his purpose of granting wishes helps reset and restructure the universe whenever enemies achieve their goals of murder and destruction. Master Roshi trained Goku, Gohan, Ox-King, Krillin, and Yamcha. He is the paternal figure to all the Z-Fighters and is the main source of moral support. Roshi is too old to be useful in battle by the time Dragon Ball Z rolls around, but his comedic appearances are a staple in the series and keeps the family connection strong between the heroes.